Editor’s note: The Outlook series spotlights a country to give a deeper understanding of the business, industry and consumer trends that fuel its economy. While exploring the current challenges and opportunities facing a country’s economic progress, Outlook also seeks to provide an insight into its future development. (CNN) Valued at $83 billion, Taiwan Semiconductor (TSMC) is the world’s largest contract chip manufacturer in the world. 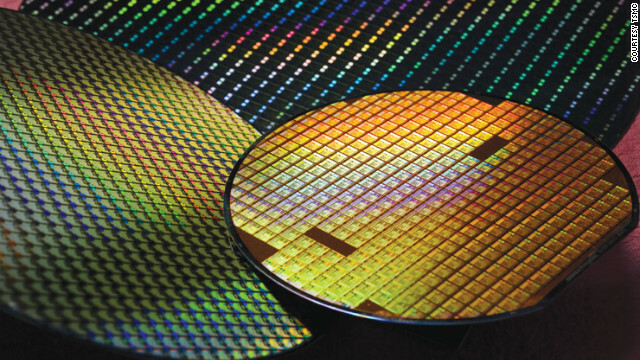 TSMC makes chips for customers like Qualcomm and Fujitsu and captures nearly 50% of the market. This year the company says it will invest $8.5 billion, much of it in R&D, to try and stay ahead of the pack. CNN’s Pauline Chiou sat down with the founder of the company, 81-year old Chairman and CEO Morris Chang. CNN: What’s the biggest challenge for you in the global slowdown? Is it the slowdown in China, the Eurozone debt crisis or the U.S. economy? Chang: If you compare all those, I would still say the U.S. economy is the most important to us because our market is mainly in the U.S. Our Chinese market has been growing very fast even though it started from a very low level. If I had to rank, the U.S., China, Europe and Japan in terms of market opportunities. I’d rank them in that order. CNN: How does the slowdown in global growth compare with other downturns like 2008/2009 or the Asian financial crisis in the late 1990s? Chang: As far as Taiwan is concerned, this one is worse than the financial crisis. This time as the world economy continues to be slow, Taiwan’s exports have gotten affected. CNN: Do you see any other opportunities in other parts of the world, for example, emerging markets? Chang: Yes, but they would be relatively small at least in the next three to five years but of course, we are not ignoring them. India, for instance, we’re trying to cultivate that market and South Korea. CNN: Cross strait relations between Taiwan and China have improved. Are there certain incentives that China has offered to make business easier for your company? Chang: We have a factory in China. Shanghai did offer us incentives in setting up a factory (there). But I think the main benefit we have got from improvement in cross strait relations is the sales that we make in China. CNN: Back to financials, in your last call to analysts, you said you foresee a dip in the fourth quarter and first quarter of next year. What are the reasons for that? Chang: We are in a cyclical business. We are in the middle of the total information technology supply chain. Being in the middle, you’re affected by the inventory situation down the supply chain. If the end market changes and goes down a little bit, it backs up the inventory. CNN: What kinds of measure have you taken to guard against cyclical activity? Chang: It’s like being careful in capacity planning. We don’t try to take every advantage of an upswing. In any upswing, we often don’t have enough capacity. Since we’re the leaders, our customers wait for us. Of course, frugality is practiced all the time. We don’t excessively spend money even when there’s an upswing. This entry was posted in Work, World and tagged 產業, industry, Morris Chang, semiconductor, Taiwan, Taiwan Semiconductor Manufacturing Company, tsmc, World, 半導體, 台灣, 台積電, 張宗謀. Bookmark the permalink.